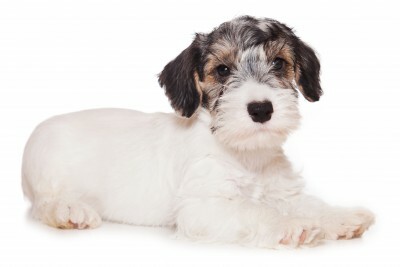 Originally developed to hunt badger, otter, and fox in the 1800s, the Sealyham Terrier has nearly disappeared in the 21st century. Considered almost extinct in the U.K., this alert, cheerful, fearless terrier is more calm and laid-back than most other terriers. They are quiet indoors but make excellent watchdogs. Being relatively friendly, they won’t provide much in the way of protection, but will try their best if the need arose. Sealies as they are often called. Sealies, as they are often nicknamed, are lovable and loyal, but have a dominant personality that requires an active, consistent owner willing to assume the alpha role. They are adaptable and will equally enjoy a brisk walk or a nap in front of the television. They do have a high energy level, but most of that energy can be worked out through daily walks, and play sessions. If not given an outlet for their energy, you might find they discover their own particular pastime, Terriers like to dig and chase. They do not do well off leash as they have a high prey drive that will set into motion should a squirrel or rabbit happen to cross their path. A fenced in area is also a must. They make excellent family pets. They are good with children, especially older, respectful kids and their devotion is real. Since they are a sturdy breed, they can handle some rough play, but it is always advisable to supervise any transactions between children and dogs. They do fairly well with other pets, if socialized and trained at an early age, but small pocket type pets may be in trouble due to that strong prey drive. Their ability to adapt makes them a good candidate for apartment living, but they also do just fine in a suburban home or in a rural setting. They tend to run, so a securely fenced area is necessary to keep them safe. They are not a breed that you can reliably leave off leash. They have a short, sturdy, body, longer than they are tall. They have a long, broad, powerful head and their body is flexible enough to maneuver in tight quarters. Typical of most terriers, they have a weather resistant coat that consists of a soft, dense undercoat and a hard, wiry outer coat. Shedding is minimal and the coat does require clipping or stripping in addition to regular brushing and combing. With all their positive traits, it is odd that they have fallen so out of favor. Once a very popular breed, they are now ranked at 163rd in popularity out of 178 recognized breeds with the American Kennel Club, even though they have been recognized since 1911. 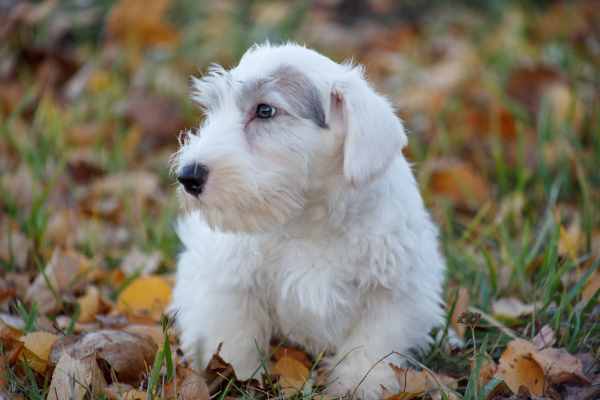 Some breeds date back to antiquity, but the Sealyham Terrier can trace his roots to 1850 because it is at this point and onward through 1891, Captain John Edwards of Sealyham Estate, Haverfordwest, Wales began to develop the breed. He was interested in producing a terrier that could hunt badgers, foxes, and otters. The breeds used to create the Sealyham is a mystery, but some suggest that the Dandie Dinmont Terrier, Wire Fox Terrier, English White Terrier and the Pembroke Welsh Corgi may have played a role. Edwards wanted a dog that had a wiry coat that could withstand the elements, a dog with a strong jaw that could catch prey, and white coat which could be easily recognizable. Not only did he produce a great working dog, but the dog’s appearance was a hit in the show ring as well. The breed gained popularity in England because of their ability to face badgers, otters, and foxes. They were shown for the first time in 1903 and people soon discovered that their smart appearance made them a hit in the show ring as well as the field. 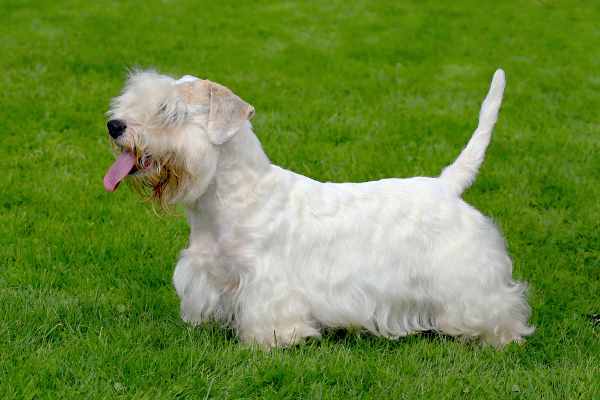 The Sealyham Terrier Club was created in 1908 and the breed was recognized in 1911 by the Kennel Club in Great Britain and the American Kennel Club. 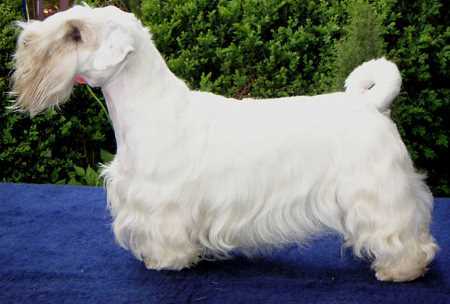 The American Sealyham Terrier Club was formed in 1913. After World War I, the breed’s popularity grew. Interest in the breed grew primarily in the early Hollywood film industry. Many well-known actors including Humphrey Bogart, Bette Davies, Elizabeth Taylor and writer, Agatha Christie owned one. 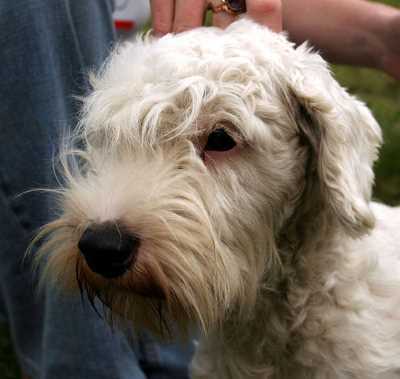 One of the more famous Sealyham Terriers was owned by Alfred Hitchcock, who used him in his film, Suspicion. 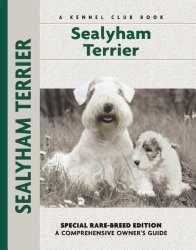 Sealyham Terriers can also be seen at the start of his 1963 movie, The Birds. 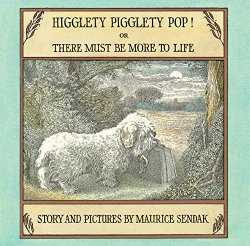 In the 1960s, Maurice Sendak, the well-known children’s author featured his own Sealyham Terrier, Jennie in his book, Higglety Pigglety Pop. Not only were they a hit in the United States, but they were also equally popular on the other side of the Atlantic with the British Royal Family. King George V owned one named Jack and Princess Margaret had a couple of Sealies named Pippin and Johnny. Their popularity continued to soar through the first part of the twentieth century, but by the 21st century, they were considered to be a rare breed throughout the world. 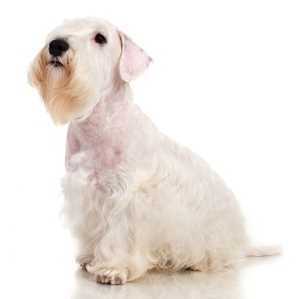 Sealyham Terriers love to be around people, but they are one breed that will do well if left alone for periods of time. They are totally devoted to their families and love playing with children. Still friendly, they are more reserved around strangers. They have big personalities that are all ready for an adventure, whether it is investigating a new smell, digging or chasing something that moves. They were once a working breed, ridding their owner of vermin and hunting fox and otter. Today, they are a companion breed, but their earlier instincts have not died. No mouse or rat is safe in a home occupied by a Sealy. While not as feisty as most terriers, they are still independent and self-willed. This independent, stubborn streak makes it difficult to train them. Housetraining may be an issue. A consistent schedule is important and many people report that crate training makes the housebreaking task much easier. Early training and socialization are important in this breed and a positive, friendly approach to learning commands and manners is crucial. Terriers tend to be strong-willed and will take over the household if given the chance. They also do not take well to harsh discipline methods. If a Sealy thinks he’s been unfairly punished, he is likely to let you know in the form of a growl or nip. The ideal owner will be firm but kind. Patience and consistency are the keys to having a well-trained terrier. Sealies have a long, weather resistant coat that consists of a dense, soft inner layer and a harder, wiry outer coat. They do not shed very much so brushing and combing are essential to prevent mats from forming. Brushing 3 times a week with a pin brush and/or combing with a stainless steel comb will prevent mats from forming. The beard gets dirty quickly so it should be combed daily to remove any food debris from mealtime. The coat will also need to be clipped or professionally striped. Hand stripping involves pulling out dead hair a little bit at a time using a stripping tool. Clipping softens the coat which is fine for a pet who spends most of their time indoors and doesn’t require that harsh weather resistant outer layer. Most pet owners opt for the clipping method as it is easier and cheaper. All of these services can be done by a professional groomer or the owner can learn to do them on their own. Beyond coat care, the rest is essential to all dogs. Their nails will need to be trimmed about every 2 to 3 weeks and their teeth should be brushed as frequently as is possible. This is a very healthy breed with few breed specific genetic problems. The life expectancy for this breed is 11-14 years, but some have been known to live as old as 18 years old. But will all dogs, Sealies develop some issues? Most will not, but it is good to know what has been identified for the breed so you can become familiar should a problem arise. If genetic tests are available, it is also important to ask your breeder which clearances she has done with the breeding dogs. The lens of the eye becomes displaced when the fibers holding it in place begin to weaken. First, the lens moves from its normal position (subluxation). Then, if the fibers break the lens slips back inside the eye. When the lens moves back, it will block the flow of fluid in the eye and cause the pressure to rise resulting in glaucoma, damaging the optic nerve. If the optic nerve is damaged, then vision is impaired and eventually lost altogether. Symptoms can include excessive pus-like matter in the eyes, pain, and changes in the appearance of the eye. Medication or surgery may be an option, but in severe cases, the eye may need to be removed. There is now a breed-specific DNA test that can be done on the adults to check for this condition. This can come on suddenly, so knowing what to expect ahead of time is important so you can take immediate action. This developmental malformation of the retina is usually mild with little loss of vision. It usually poses no problem in the dog, but affected dogs should not be bred. Breeding dogs can be checked by a veterinary ophthalmologist.